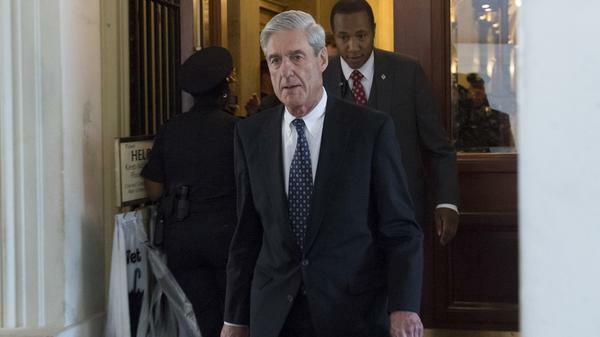 The Justice Department says it plans to release special counsel Robert Mueller's report on Thursday morning. Here's what you need to know. Mueller was appointed in the spring of 2017 to investigate whether President Trump's campaign conspired with the Russian interference in the 2016 election. The fact of the interference itself had been long established, and last month Attorney General William Barr told Congress that Mueller did not find that Trump's campaign was involved with it. Barr also told Congress that Mueller didn't establish that Trump broke the law in trying to frustrate the investigation — but neither did Mueller's office "exonerate" the president. Barr and Deputy Attorney General Rod Rosenstein concluded for themselves, based on the special counsel's findings, that Trump would not face obstruction-of-justice charges. With that established, what's the point of the report? 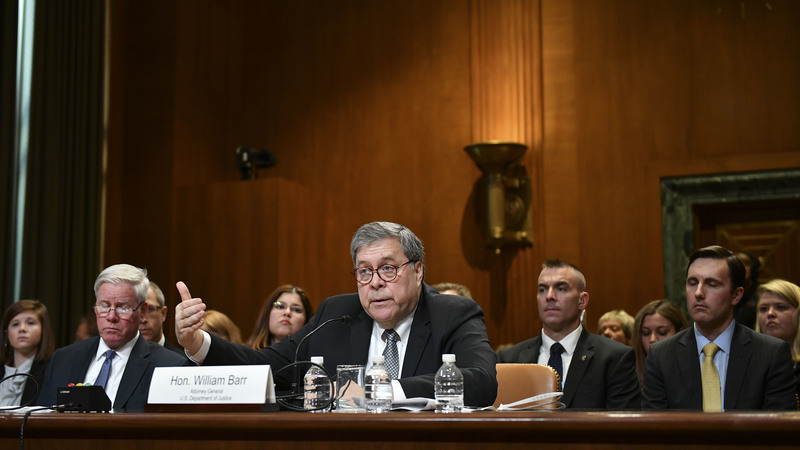 Trump and Republicans have welcomed Barr's summary, which they say vindicates the president and gave them a surge of momentum into the burgeoning 2020 election season. Democrats say they can't be sure Barr isn't providing political cover for Trump, pointing to skepticism he voiced about Mueller's inquiry before he was nominated to be attorney general. Trump's opponents say they can't be sure what to make of Mueller's findings until they see the findings firsthand. Nearly 400 pages, "exclusive of tables and appendices," Barr told Congress. Will it be Mueller's complete report? No. Barr told members of Congress that he has been working with the special counsel's office to redact four kinds of information. Third, Barr said he would redact information about ongoing cases or investigations — those taking place elsewhere in the Justice Department now that the special counsel's work is complete. And fourth, Barr told Congress, is "information that implicates the privacy or reputational interests of peripheral third parties who were not charged." The Justice Department should not reveal derogatory information about people whom it isn't accusing of breaking the law, he said. "People in private life," the attorney general told senators. "Not public officeholders." Democrats say they're worried he might. "It seems to me that's an exception you can just drive a truck through," Rep. Ed Case, D-Hawaii, told Barr last week. 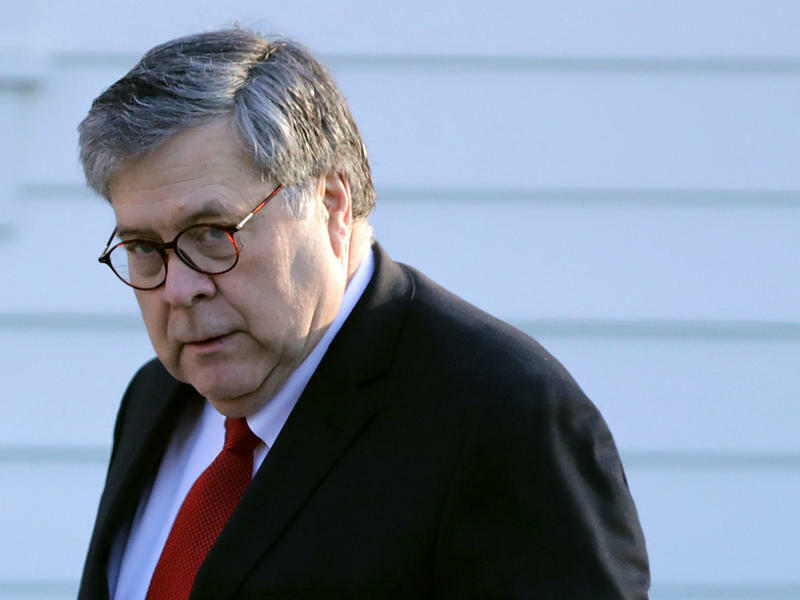 Trump's opponents accuse Barr of working not as an independent arbiter but as a servant of the president. Democrats were furious, for example, when Barr called the surveillance conducted of Trump's campaign in 2016 "spying" — after the Russian government had launched its disinformation war on the presidential campaign. House Speaker Nancy Pelosi, D-Calif., complained that Barr was "going off the rails" and that she didn't trust him. She'll trust only what she reads from Mueller. Didn't the government conduct "spying"? The FBI and Justice Department conducted surveillance of Trump's campaign in 2016 as they investigated the election interference. What Republicans have charged since is that some officials may have abused their powers and violated the rights of at least one American. Could Mueller's report answer some of these questions? Maybe, although Barr's implication is that it doesn't. Why, for example, didn't officials brief Trump's campaign in 2016 about the contacts they were discovering between people in his camp and Russians? How did the FBI use confidential informants in trying to discover what Trump's campaign was doing? Barr said that Mueller didn't establish that Trump's campaign conspired with the Russians. But did Trump himself ever get word about the offers of help that were coming in from Russians or their agents, including those to his son Donald Trump Jr.? Americans have learned a lot from Mueller's office about the methods by which Russia interfered in the election. The best-known schemes include agitation on social media aimed at amplifying disagreements among Americans and the cyberattacks that stole data that was then released to embarrass political targets. Others schemes that haven't received as much attention have been established too. Will Mueller's report uncover any other types of interference that haven't yet been made public? Barr and Rosenstein said they've concluded that Trump won't face obstruction-of-justice charges. What did investigators uncover about what actions he took? How close was the call for the leaders of the Justice Department? Barr says to expect some insights about all this: The report "sets forth the special counsel's findings, his analysis and the reasons for his conclusions," the attorney general wrote to Congress. Barr's letters about the work of the special counsel investigation have taken the wind from the sails of Democrats who had been pushing for impeachment proceedings against Trump. Members of Congress could resume that battle, however, if Mueller's raw findings lead Trump's opponents to conclude he acted wrongly or abused his office, separate from Mueller's or Barr's reading of relevant criminal law. "Are we going to get the gist of this, or is it going to be, you know, [reading a section] on January 2015 and then you have to flip 15 pages to find the next text?" Schatz asked. "You will get more than the gist." The news world is ravenously awaiting the release of special counsel Robert Mueller's report on Russian election interference. 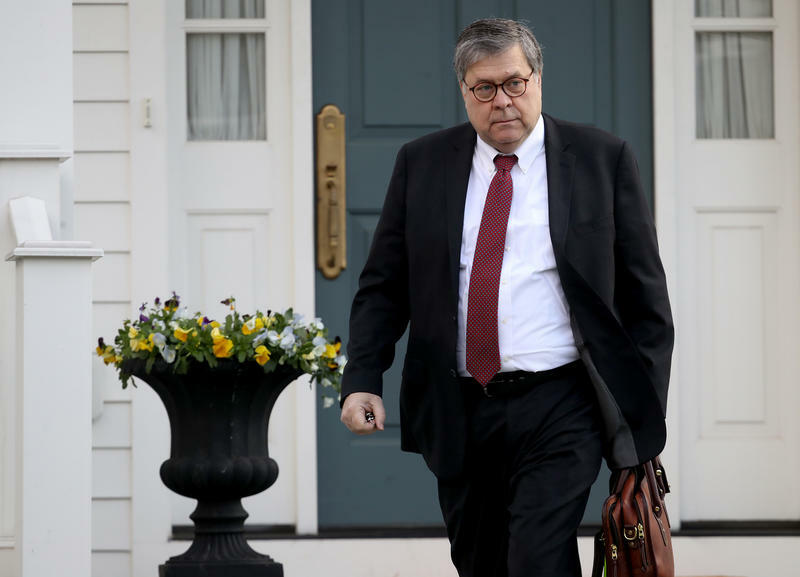 But Attorney General William Barr's two trips to the Capitol last week strongly suggest that the version of the report he releases will only whet the appetites of many in Congress and beyond for more information. Democrats do not want to take U.S. Attorney General William Barr's word for it that President Donald Trump did not obstruct Special Counsel Robert Mueller's investigation into whether his campaign colluded with Russia to sway the 2016 presidential election, and are demanding the full report be made available to Congress. 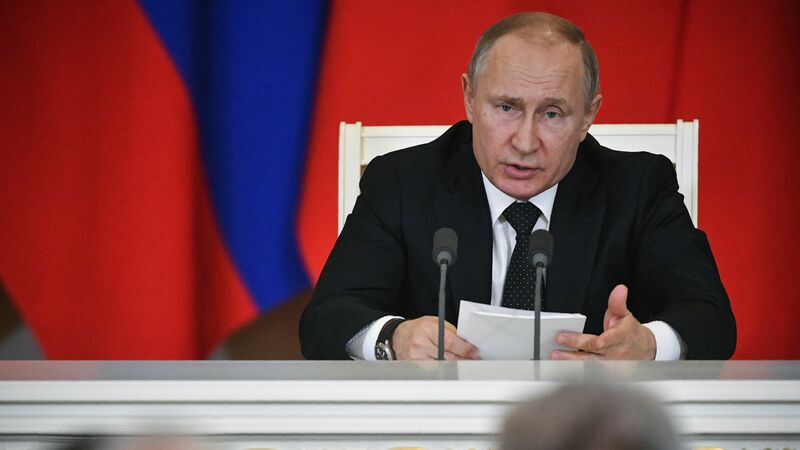 It "did not find that the Trump campaign or anyone associated with it conspired or coordinated with Russia in its efforts to influence the 2016 U.S. presidential election." 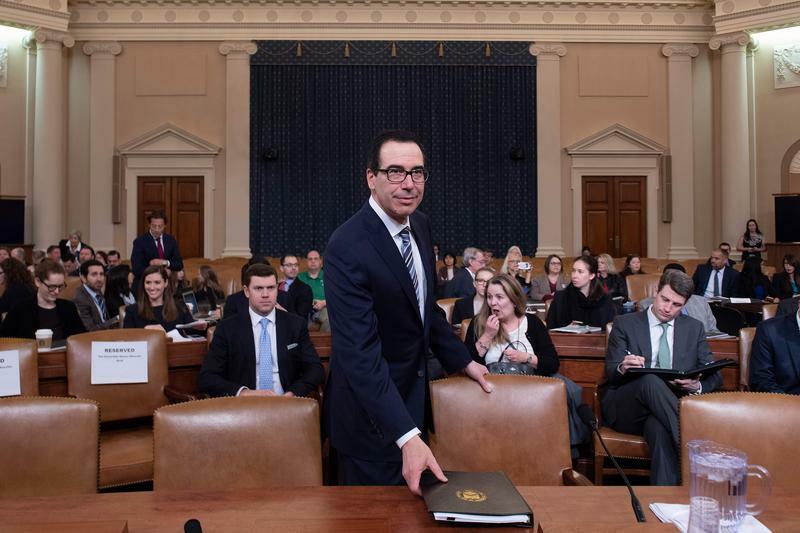 White House lawyers communicated with the Treasury Department about how to handle House Democrats' request for President Trump's tax returns even before they made it, Treasury Secretary Steven Mnuchin said Tuesday. This week, Democratic Congressman Richard Neal of Springfield, Massachusetts, was on the national stage after he asked the IRS to turn over six years' worth of Trump's tax returns.